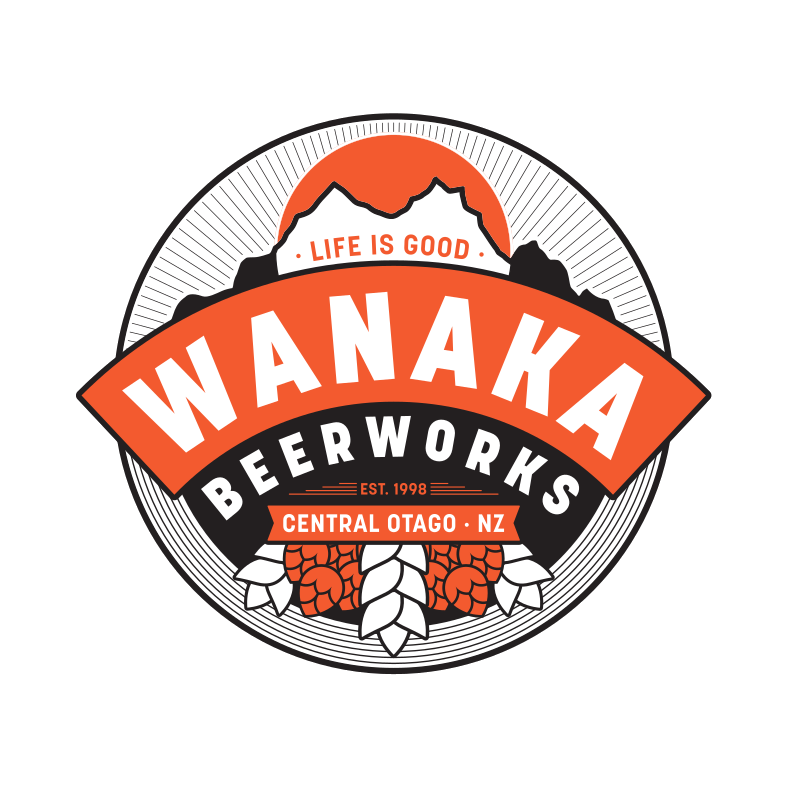 Wanaka Beerworks was established in 1998 and is situated in one of the most picturesque towns in New Zealand. We get our inspiration for our beer from the beautiful surroundings and the town's unique vibe that's why we use the local landmarks on our labels. “Beware the Jabberwocky!” a story line that conjures up thoughts of a mystery creature never seen but always watching. Told in the Central Otago high country to keep young musters vigilant for it may be their precious supplies that go missing such as their lunch or worse, their beer! A classic golden all malt lager with a smooth malty biscuit-like sweetness and a mild hop bitter finish. Cardrona Gold is named after the Cardrona town (just outside of Wanaka) with it’s colourful gold mining history. A deliciously quaffable beer that celebrates the pioneering spirit of the folk from the days of Cardrona’s Gold. Crisp, floral hop aroma with a rich malty sweetness that is beautifully balanced by its spicy hop bitterness. Brewski is very popular with the truly discerning beer drinker, its saaz hop gives it a very distinct flavour. A treble hopped wheat Ale that’s full bodied and has plenty of character. A thirst quencher for every season that feels like an off-piste ride at TC. A rich malty black beer infused with coffee. Moderate hop addition with a dry roasted finish. The stout’s deep chocolate colour and caramel sweetness are derived from the heavily kilned and roasted malts. New Zealand Malts and Hops come together and shine in this unfiltered Pale Ale which finishes Clean and Refreshing. Rich malt flavour and a Ruby complexion are smacked full of hops to create a stunning IPA best enjoyed with the views from Ruby island in lake Wanaka. Colossal like JumboLand in the Otago high country, this hop packed Double IPA will leave you gobsmacked!